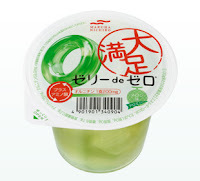 Jello de Zero (ゼリーdeゼロ) is my recent favorite jello! As the name suggests, it has no calorie but it tastes really delicious. 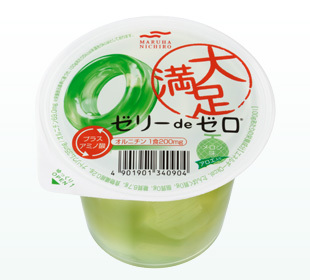 Among several other flavors, melon flavor was unexpectedly delicious! Filling 290 grams (10 ounces). Contains 150mg of L-carnitine (which helps burn fat). It has firm jello cubes with condensed fruit juice and aloe cubes which gives a nice texture to the taste. Anyway, do you believe in zero calorie foods? Me, I don't. As it is stated on the package, zero calorie refers to the product which contains under 5kcal per 100ml. Also, some researchers say zero-calorie sweeteners may change the way our body digest food, tricking it into storing more fat. Moreover, if you eat too much, it simply expands your stomach.